Much has been made in modern times about the cord cutting phenomenon and ESPN’s number of subscribers suffering a precipitous drop. ESPN has lost about 10 million pay TV subscribers over the past three years, even in spite of a slight uptick recently. While it’s also something that’s happening to the rest of the television world, ESPN is always going to be at the center of these headlines because the wind always blows hardest at the top. ESPN is also going to be at the center of these stories because of just how much their insanely successful and brilliant business model is built on these subscriber fees. As we’ve maintained throughout the years, ESPN has wisely built up an almost insurmountable position at the top of the sports and cable television world because their subscriber fees are exponentially higher than the competition. If ESPN is making five or six dollars more than any other network per subscriber per month, that just happens to be an extra five or six billion dollars that the network is able to bring in. Compared to would-be challengers like FS1 or NBCSN, ESPN has a few extra billion dollars to play around with – that makes for a fairly significant competitive advantage. Via our old pal Ed Sherman at the Chicago Tribune, the price of poker to watch ESPN continues to go up – to now well over $7 per subscriber per month. Sports TV networks are already the most expensive on the cable and satellite menus. And if teams such as the Cubs go through with plans to create their own networks, fans will have to pay even more — or be blacked out from the majority of televised games. The question is: How much more are you, the sports fan, willing to add to your monthly bill? ESPN charges distributors a monthly fee of $7.21 per subscriber, and another 90 cents for ESPN2, according to SNL Kagan, an offering of S&P Global Market Intelligence. 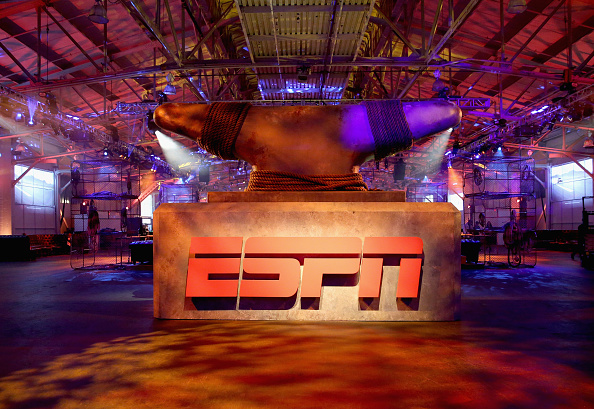 The cost for ESPN is up more than 120 percent from 2007, when it was $3.26 per subscriber. For Chicago-area subscribers, CSN Chicago, the primary TV home for the Cubs, White Sox, Blackhawks and Bulls, is the next highest at $3.86 per month. No other channel, sports and otherwise, is even close. Fox News has a $1.41 monthly fee and CNN is at 71 cents. To put that number into perspective, as Sherman writes, it’s more than double from where ESPN was nine years ago. Furthermore, it’s up over a full dollar from the summer of 2014 ($6.04 per subscriber per month) and up another 17 cents ($7.04) from the estimates by Dave Warner at What U Pay 4 Sports from earlier this summer. What do these increases mean? It’s a profitable, yet dangerous game of chicken for ESPN. On one hand, it means that they continue to increase their cable and satellite revenue that will see ESPN be almost impossible to catch for the next generation or more. If we assume FS1 is still around the $1.00 per subscriber per month mark, that means ESPN is ahead in that department by approximately $6.7 billion (yes, billion with a “b”) in revenue. A million Skip Bayless debate shows can’t overcome that gap. As ESPN continues to distance itself from the pack in cable fees, it will continue to fortify its position at the top of the industry. On the other hand, at what point is the breaking point for the consumer who decides that paying over $86 per year is just not worth it to receive ESPN? We’ve already seen millions decide to cut the cord because of rising cable fees, how many more are to come? And how will ESPN look to reach customers who are no longer fueling the company’s revenue stream thanks to their cable bill? ESPN’s huge advantage and billions of dollars in cable fees is one of the central pillars for why the Bristol network is where they are today. But with ESPN looking at more over-the-top options and the changing television and streaming landscape, even they know it might not last forever.